All application materials must be either received or postmarked by the specified deadline. Remember, we can’t review your application and make a decision until your application file is complete. Once you’ve applied, you’ll receive information about how to check the status of your application, and you’ll be able to see if anything is missing. Applying to college can be stressful. But, were here for you. If you're having issues with the application, this will help guide you through the application process. While we don't accept the Common Application, feel free to use an essay you may have crafted for the Common Application as essay Option No. 1 - Choose your own topic. You're required to submit one of the following short essays (250-750 words). Option 1: Choose your own topic. Use an academic writing sample that highlights creativity and innovation, or provide a response to a universal essay topic. Option 2: At the College, living sustainably is more than just adopting a few “green” solutions to your lifestyle. It's about creating sustainable solutions that transform society by rethinking, redesigning, and restoring integrated systems. 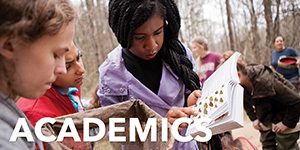 How do you see yourself engaging in curricular and co-curricular opportunities at CofC to protect the environmental systems upon which we depend? You can own your admissions essay! You will pay the $50 application fee when you submit the online application. All freshman applicants are given the option of attaching an unofficial copy of their high school transcript for purposes of expediting the application review process. Applicants may upload documents in PDF format (maximum size 5 MB). Use a transcript listing grades and courses through the conclusion of your junior year, preferably with your senior year schedule included. Your transcript must show your full legal name and either date of birth or permanent address. 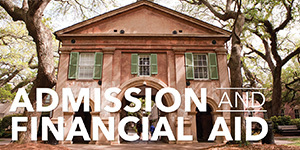 Applicants may decline the option of providing their own transcript, and instead may opt to have their counselor submit the transcript to the College of Charleston directly. Know this is acceptable but may delay processing; application files must be complete before the admissions committee can render a decision. Transcripts reflecting completed dual enrollment (college) coursework may be sent any time but are not required to complete a freshman application file. College transcripts must be submitted directly from the institution of record prior to a student beginning classes at the College of Charleston. The Office of Admissions reserves the right to request an official transcript at any time to assist with the decision process. All scholarship offers, including state scholarship offers, are contingent upon receipt of an official, final high school transcript from the school of record directly. All SAT/ACT scores must be submitted to the College of Charleston directly from the testing agency; scores are not considered official when provided on a student transcript. We’ll use unofficial test scores to make admission decision and award merit scholarships. However, state scholarships will be awarded based on official test scores only. If you falsify your test scores, even accidentally, we may have to revoke your admission decision and scholarship award. testing agency websites (via screenshot, PDF, or jpg). All results must include your name, test date, all sub-scores, as well as one other means of determining you’re you (e.g. birth date, email, or mailing address). By self-reporting your unofficial test scores, understand that your application file, if complete, will go under review immediately (based upon the test scores you’ve provided). We reserve the right to request your official test results at any point during the review process. You must provide your official test results (delivered directly from the testing agency) by June 1 to enroll. It may take up to three weeks for your test scores to process. You’ll be unable to register for courses without your official test scores on file. Our SAT code is 5113 and our ACT code is 3846. Take both the SAT and ACT and submit all scores from all test dates. We only require one, but we’ll use your highest test scores on file when making a decision on your application. We don't require the SAT subject tests, but consider submitting your writing scores. Test early! If you test your junior year, you'll have the chance to test again (if you want to). Again, the personal statement is optional for most students; however, if you've taken a GAP semester/year or if you're completing a post-grad year, this section is required to explain your activities over that time period. If additional space is required, you may submit your personal statement in a separate letter via email to admapplicants@cofc.edu. Please include your full name (first, middle, and last) and complete mailing address on any attached information. Letters of recommendation. 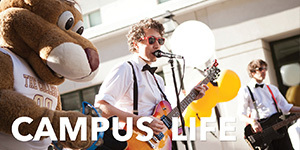 Recommendation letters are not required for undergraduate admission. But, if you would like to send letters of recommendation, please limit them to two and request them from guidance/college counselors and/or teachers. 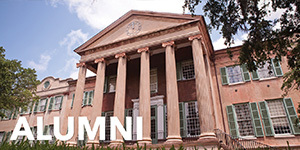 You can mail, email or fax letters (admapplicants@cofc.edu or 843.953.6322), or upload them via Parchment. The Honors College requires one recommendation from a teacher in one of the following subject areas: English, Math, Science, History or a foreign language. You will provide us your preferred teacher's first name, last name and email address and the Honors College will reach out to them to solicit a reference. Your recommender must complete the Honors College recommendation for your application to be complete. Please contact honors@cofc.edu for more information on how to submit your letter of recommendation. Interviews. 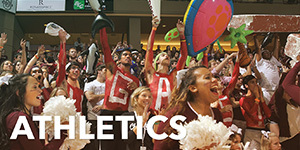 The College of Charleston does not offer interviews. If you would like, you can speak with a counselor during your campus visit. If you can't make it to campus, but a counselor is traveling to your area, you can request a sit-down. 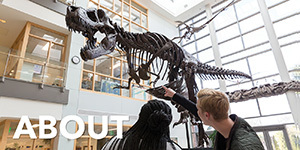 A sit-down is a great way for you to get information about the College — and it has no bearing on our admissions decision. Résumés (etc.). A resume is required to complete your application to the Honors College. Please contact honors@cofc.edu if you have additional questions. Arts submissions and auditions. We do not require arts submissions or auditions for admission, and there is no separate application for the School of the Arts. However, there are some departmental scholarships available requiring auditions or portfolio reviews. Please contact the School of the Arts for information on scholarship opportunities available for freshman. Honors College applicants must submit a separate 500 - 800 word essay. Visit honors.cofc.edu for more information. Residency for tuition purposes is determined when you submit your application. To learn more, contact the Legal Residency Office.